We’re taking a break from the kitchen and bath show to discuss how to style a coffee table. However, if you missed the first two parts of the kitchen and bath show KBIS 2019, please click here for part 1 and here for part 2. Before we get into how to style a coffee table, I think it would make sense to discuss THE coffee table a little, first. Just a little review. Here is one of my favorite posts that pairs about 20 coffee tables and sofas. Of course, when we are talking about how to style a coffee table, we need to consider its shape. There are Six basic shapes of coffee tables. Oval – With the exception of Barbara Barry, mid-century modern, and some neo-classical versions, oval coffee tables are not my cup of Darjeeling. Most of the time, they are ersatz Victorian; meaning full of frills. Amorphous or other shapes – Amorphous could be a piece of driftwood and other shapes could be a classic mid-century boomerang. What is the difference between a cocktail table and a coffee table, Laurel? Well, one you sit around drinking cocktails and the other you sit around drinking coffee. Oh, I don’t know. haha. I believe the terms are interchangeable like side table and end table. But, please correct me if I’m wrong. If pressed, perhaps a coffee table is hunkier than a more formal, refined cocktail table? And, then, there are tea tables; they are different. Is it because they are for sitting around and drinking tea, Laurel? A tea-table is different from a coffee table in that it’s taller than its coffee table cousin, but not as tall as a dining table which is usually around 30″. Darryl Carter living room with what looks like a Queen Anne tea-table. Quite frankly, while I ADORE DARRYL’S work, this room doesn’t look finished. But still, I love the architecture and the direction this room is going in. And, I might be totally off the beam. It’s just that I don’t think I’d put a Gustavian bench in the middle of my seating area. It looks like it should be against the wall and maybe in a foyer. Another tea-table in an oft-seen room by Furlow Gatewood. The best designer no one’s ever heard of. (Well, many more have by now.) For much more of Furlow, click here. Above are two tea tables used in a room I designed in 2000! It was in the December 2004 issue of Better Homes & Gardens. This is not my styling! But, I like what they did. There’s more of this home here. I’ve probably said this before, but tea tables if small enough are often interchangeable with end or side tables. Let’s begin with the basic principles of how to style a coffee table. Phoebe did an article for Southern Living Mag a while back and her advice is exceptionally good, I think. Phoebe Howard. Below is a better image of the table. This is a perfectly styled rectangular table. Phoebe uses the rule of thirds and she has a balanced symmetry flanking the center plant. This is from the Bronxville home I did 5-6 years ago. I think I’m a little off in the composition. At least from this angle. 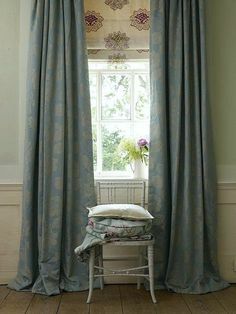 Well, just about everything in this room is what not to do– starting with the tacky polyester cheesy looking curtains. The table is neither here nor there in its styling. Please don’t call it transitional. Or if it is, hopefully it’s transitioning into firewood. Sorry, but it’s a clunky mess, IMO. Here’s what’s wrong with the coffee table styling. the composition is lacking, plunked in the center and there’s the stack of books on an angle. I know. I know… Lots of you do it. It’s just like the artwork that’s placed on the diagonal. You will never see an A or even a B, C, D list interior designer put art on the diagonal or books, boxes and other objects on an angle. That is unless it’s an open book meant to look like someone just set it down quickly and went to go make a sandwich or something. To rescue this I would take the two taller books on the bottom shelf and set them on the other side of the bowl of whatever that is. Then, I would get something sculptural to set on top of the books. Then, I would straighten out the books on the right and center the basket on the bottom shelf. This one is nice, I think except it seems that it’s a little off-center. I could be wrong, however. It is possible that the image is a little distorted. We’ll just say that it is, for now. It’s not that easy. My room that I did ten years ago! And it bugs me so much that the fruit bowl should be more in the corner. Oh well. Nothing is perfect. And over-all, I love how this family room turned out. This is the sunroom from the home above that we did in 2010. The coffee table isn’t really warped. It’s just lens distortion from the camera, which I could fix but well… I’m trying to loosen up a little. lol!!! Here, I just used whatever my client had. We had fun putting it all together. Mark D Sikes above and below always gets it just right. Above is for his Southern Living Showhouse. To see more of this gorgeous room click here. Another beauty by Mark D. Sikes. I recommend checking out his portfolio. His work is always exquisite! please check out this post about how to get the look for less. Below is a room that I did in 2013. The items on the table were a combo of some things I brought over and items the client had. The faux orchid is from Home Goods! I love the way this one turned out. My client wanted the yellow box, but unfortunately, the vendor, Bungalow 5 doesn’t make them any longer. Here is a fun, young, modern vignette by the very lovely and talented Emily Henderson who beat out a bunch of other people on HGTV for her styling talents, and very well-deserved! She has her own very cool blog which you can find here. Another beauty I swiped off William McLure’s instagram. He did the painting too. His home is an ever changing gallery of awesome design. Amazing talent and he’s only in his early 30s! For more William, click here. Round tables are a bit trickier in that they are well… round. However, the basic principles hold true. But one more thing. I think that round tables need to have incorporated other round things; not everything, but there needs to be some roundness and that is very well done in this vignette, above. BTW… It’s not easy finding a wonderful round table! via Laura Trevey – home tour – Angela Elliot Interiors – Excellent job of styling a round coffee table. I realize that some of you don’t like books on coffee tables. That’s fine. But please don’t make the rest of us feel badly. I’m mad about books on tables. I think that they are the basis for all great styling for most tables. Many people have asked me about this coffee table. Sorry, I don’t know where it’s from and I don’t know the original source, either. 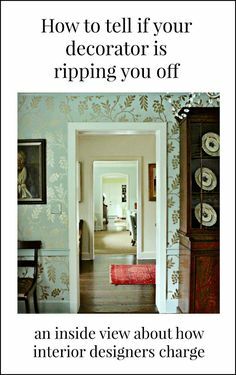 Elle Decor republished it giving me credit. I did not correct them. haha. Looking closely, I think it could use a couple of books in the middle on the left, but over-all I love it. I adore trays on coffee tables. Here is a room I did a few years ago. (link below to the rest of the house) I brought over the tray and the glass vase. The dried hydrangeas were in the client’s house in another vase, so I swapped them out for the photo. They’re a little tall and big. I think that a beautiful orchid would’ve been better. This is the small family room from the same home. You can see the rest of it here. I love how the club chairs turned out. They were quite ratty and brown and I had them reupholstered in that wonderful stripe. We reupholstered the sofa too. please pin to your pinterest boards for reference. Actually, I believe it’s more like 25, but better to over-deliver, I always say! I have long been a fan of Ruthie Sommers who did the room above. She is known for her Hollywood Regency influenced interiors with touches of Boho and classical elements mixed in. She loves to play with color in daring ways. I admire that a lot. Another favorite room found on One Kings Lane. I love everything about it! Books. Hydrangeas and a glass sphere. perfect coffee table styling! Sorry, I don’t know the original source. If you do, please let me know and I’ll add it in. By the way, a lot of the items used for styling are the same ones we use for the fireplace mantel decor that we recently saw in this post. And, there are a lot of great ideas for styling in this post about colorful vignettes. I’m quite in love with this huge but low tufted ottoman. Great room by John Minshaw! Another beautiful coffee table vignette by Mark D Sikes from his first book, I believe. Loi Thai collaborated with Frank Babb Randolph for a room of sublime beauty. The photo above, however, is Loi’s and you can read more about it in this wonderful blog post from a while back and see how it all ties together. There are many, many gorgeous images from this incredibly beautiful room! Those screens. Those screens!!! However, the styling of the coffee table is also sublime. You cannot go wrong with like with like and tone-on-tone! I hope that you enjoyed all of these examples of great coffee table styling and some that’s lacking. Most of mine are, a little. But, I think I would do a better job now. Happy March! Can’t wait for spring, but it’s still very much winter in the northeast. PS: Please check out the newly updated and curated hot sales! How To Turn Bland Decor Into A Room Of Sublime Beauty! Great post as always. I have a question about tea tables. Most of the ones I can find are more classic looking. Would you be able to recommend some suppliers of contemporary tea tables? Great post, Laurel! I love seeing how things are styled. I’m glad you included Emily Henderson. She has the best eye & is so talented. I currently have a vintage trunk as my coffee table. The raised wooden straps(?) make it difficult to style. I’m restricted to just the small spaces between them. Having less items on it does make it easier to dust, I gotta say. Thanks again for the inspiration Laurel. For those people, like myself, who want a bit of space for feet, coffee, etc. on the coffee table what do you think about using a large tray that is 30% to 50% of the surface of the coffee table top and putting a few books, your tall centerpiece and then your favorite personal item all in the tray and arranging it in the same fashion but then the tray keeps it snug and tidy and you can push it with your feet when you need a little more room and then back after you are done watching TV? It has worked well for me and I still was able to incorporate your examples and have the room to spare for snacks, laptops etc. When you do your next post on sofa and end tables can you think about recommendations if you don’t want table lamps (the cords would have to go across the floor to reach the outlets) and all the lamps that are on end tables that aren’t against the wall seem to usually have the cords photoshopped out. This is so helpful! My 3 coffee tables (in living room, family room, and sunroom) always look a bit “off” to me and now I know why. I was not applying the rule of thirds — I was only 2/3 of the way there. Also, the family room coffee table is the favorite homework/hangout place for my 8th-grade son, so he leaves his books, papers, chess set, calculator, etc. all over the place. I’ve given him a designated cabinet in the family room for his things, but…. obviously I need to get back to his training! I really like this post. I love tea tables but when for a rectangular bench I fell in love with. I have a tray on it, but do not want to fill all the space as I want room for feet to go up as an ottoman would work. Oh, thanks for letting me know. That’s interesting. That was one of the images that was from the original post from Januay 2014. I didn’t think to check the link. I’ve fixed it, but the problem is actually on her end. Undoubtedly, they’ve made changes to their website in the last five years and like most of us have gotten an SSL certificate, so the url is an https instead of http, however, her developer, should have made it so that if someone clicks on the old URL, which is what you did, it gets redirected to the new URL. There seem to be lots of questions about ovals. I think it’s all of us with stupid long sofas but not sectionals in longer-than-deep living rooms who want to keep our shins and toes in working condition. Maybe you could discuss the idea of two smaller round tables and when that might work well. 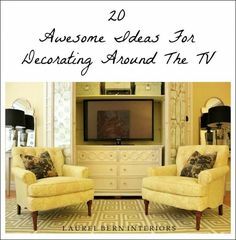 A timely post for me as I just went from a brass based glass top oval coffee table (that I loved but am changing from more “traditional” to a more mid-century/contemporary decor) to a rectangular plexiglass one. I love the look of fresh flowers or plants but my two cats would have them all over the floor in two minutes! I’ve tried dried flowers before which suffered the same fate. Maybe an faux orchid would work. I hope this doesn’t sound snarky (I sure don’t mean it that way) but I love and value books for themselves so much that the thought of using one as a coaster makes me shudder! No disrespect to books intended and sorry to make you shudder, Sherry. That makes me feel badly. How about putting a coaster on top of the book? Or is that a bad idea too? My idea was to placate those who are complaining that they have no idea where to put down their mug of coffee. Although, the table shouldn’t be so tightly packed that there isn’t a few inches for that, anyway. Please, let’s not make this such a big deal. I started laughing quite heartily @ HELP…? If it makes you feel better, it’s exceedingly common and it’s why I brought it up. But if you look closely, you will never see it done in any photo I post here or on pinterest. You won’t see it in house beautiful, elle decor, architectural digest, etc. either. And yes, you learned it from your mom. Another informative post and never let it be said ‘that you can’t teach an old dog new tricks’. At least this one (me) as always learn so much from you, so thank you but I do have a quick question. Though I no longer have an oval coffee table (as a portion of its top was damaged beyond repair so I converted it into a wall hung mirror); I presume similar rules would also apply to that of dressing a round one by adding a few oval shapes? Yes/No? That is actually a dark shell top and it is gorgeous! By coincidence, Lotte Meister has the same table in her home. It is from Oly Studio and you can purchase it retail from Candelabra. Your posts are so delightful; I love the interplay of knowledge and humor! With this post, you could have read my mind!! Great info for styling, as you said, multiple surfaces. I love to have a styled coffee table, and if I mess it up with all my junk, I simply put it back together when finished. Also, so lovely to see Mark Sikes use the nesting tables. I am seeing them for sale everywhere but sort of at a loss for how to use them. Hello Laurel, My problem is that my coffee table is in the middle of the “dust path” for my apartment, and it and anything on it get coated in Taipei’s trademark black, oily dust, so I have to leave it bare and polish it all the time. I do have a nice blue Northern Song-style bowl that I can put out when company comes, as well as dishes for nuts, etc. Which reminds me. Some of these tables you illustrate (not just the small ones, although Georgina makes a good point) are so styled that there is no place to put down a cup of tea or coffee! Also, spills do occur, and for that reason I would hesitate to cover my coffee table with $80 art books. Well you know FL Wright always said, “Form follows function.” And, of course, they are especially styled for the photos. Do I think that most of these people live like this all of the time? Most do not. But, for some people, certain rooms, especially the living room often tend to be more decorative that useful except when company comes. That’s changed a lot though, in recent years. Most of my clients with young families created two family rooms. Or, as I fondly like to call them, rooms for living. That’s as opposed to dead rooms. Rooms that are never lived in. Well, maybe you’ve surmised, that styling isn’t my strongest area. It really is a separate skill set, but I’m better at it than I was five years ago. I did consider putting something on the bottom shelf, but first of all, probably didn’t have anything to put there. And also felt that it would be too busy for the photos. I needed to take the photos that day because of a contest, but shortly after it was taken, a lovely large art repro was hung over the sofa. I would’ve gone back, but they live quite far from me now. Really, I think for most coffee tables, William McLure has the right idea. Gorgeous fresh flowers (if possible), or else really GOOD faux, like a faux orchid. Some, I can’t tell the difference until I touch it. Some books. Trays are great. Maybe a vase and something sculptural if the table is large enough. It’s not really rocket science and nothing is glued down either. I can see how it would feel better in the winter to have more things and in the spring to want a lighter, airier feel. It should herald spring. But some years, March is absolutely horrid with it’s stinging, sharp wind and freezing rain. But, you know, in southern Indiana, March definitely did herald spring. I remember that the leaves came out in earnest the first week in April, usually. Here it’s about the 3rd or 4th week in April. But some years, it’s a little earlier. An email from you is a great way to start a Sunday. The photos and your narrative are always so interesting. 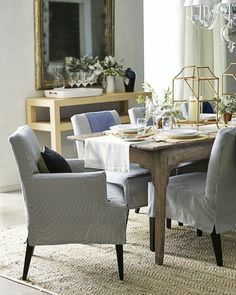 My initial reaction in looking at these photos and reading about styling a coffee/cocktail table is: don’t these tables ever actually get used? By that I mean, when I have guests over and serve them beverages and snacks, the only styling my table gets is: coasters, napkins, platter of snacks, small stack of individual plates. The decorations on the photographed tables seem to be only for ‘show’ and, if not for your guests, who are they being shown to and, when I have guests, I feed them. I hope I don’t sound snarky, I’m really genuinely interested. As for having guests over. Of course, whatever needs to go by the way-side will. Actually, (thinking out loud), it would be great if I could get fabulous Lotte Meister to comment on how she does it. Her home ALWAYS looks like it’s going to be photographed for a magazine. ALWAYS. I had some clients who were like that too. Love the updated post. I had relied on the original post when trying to figure out some coffee tables. The “mistakes” to avoid are a huge plus. Especially the display of art books!